Custom Labels, Formulas, Systems and Tech support to back it all up. Envirochem can customize a formula to fit your exact needs. Our dedicated staff will assist you in container and packaging design to accommodate your requirements. We share the same desire as our customers – to create and manufacture a truly superior product that meets and exceeds your customers expectations. Labels are meant to differentiate your product from your competitors and the appearance of your package is an integral part of your business. A good label design can take business to the new heights. Customers can switch to other products if they cannot identify your brand. Perhaps you want a generic design. 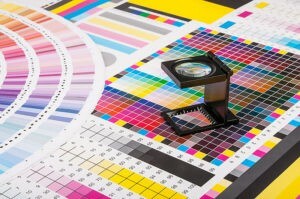 Envirochem can offer silk screen printing or multi-color labels provided minimums are met. Your products can have a unique look that sets you apart from your competitors. We can assist you with the design or you can furnish the artwork. Our flexibility works for you. We offer formulation assistance to all our customers. We develop new products in our laboratory. We can formulate a product to solve a specific cleaning issue. We can reverse engineer a product. We also encourage our clients to work together with our staff to achieve the performance, the look, the fragrance that meets the needs of their customers. Our technical staff has over 100 years of combined knowledge and experience to answer all your questions. Envirochem’s in-house expertise can tackle tough issues in laundry, warewash, institutional cleaning, janitorial services and sanitation. Your queries on equipment, equipment operations, applications, appropriate product selection and/or product use will be addressed promptly and accurately. We can custom design products and packages that will address any unique cleaning problem you may encounter. 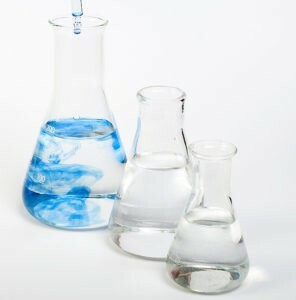 Envirochem, Inc. is known worldwide for its quality and integrity. We can meet and exceed all your cleaning and sanitation needs. Challenge us! Set up of your laundry room program is critical to achieving good results. Envirochem’s laundry specialists can help you achieve consistent product delivery, balanced formulas for the best results, and options to solving unique laundry problems. We can help you improve the quality of the laundry operation, reduce re-wash and save you and your customer’s time and money. Each laundry has distinct issues and our experience can assist you in avoiding common and costly mistakes. Proper dish sanitation is a key component of safety in your foodservice program. Selecting the right dish machine design and capacity is so important. A high quality unit will clean your ware properly the first time, increasing productivity and decreasing energy costs. The selection of the proper chemicals to use in your kitchen and the delivery system for those chemicals is critical in your food service program. Let our Warewash experts aid in the proper selection of equipment and chemicals to satisfy your customers’ needs. Please see our section on our new closed loop system for hands free dispensing of housekeeping / janitorial products. This delivery system can also be adapted for liquid laundry products and low temp dishwashing systems.